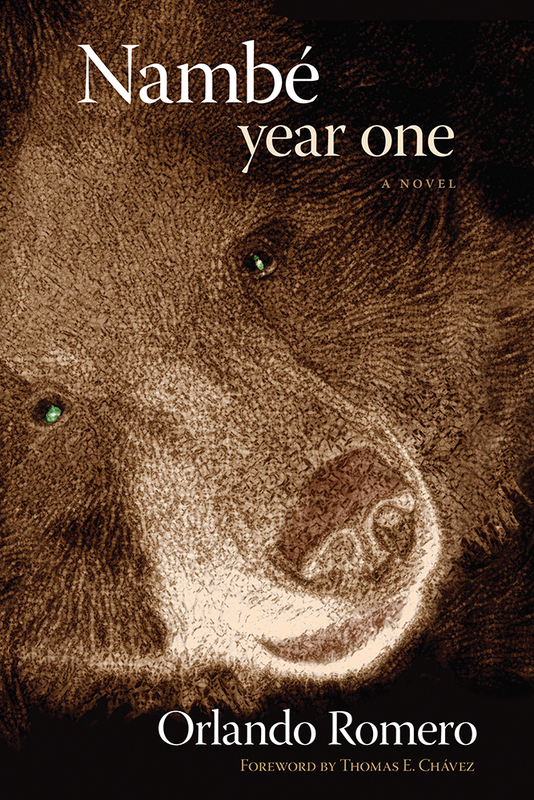 Long out of print, Nambé Year One is a novel of Gypsies and Payasos who reportedly wandered through the mountains of northern New Mexico many years ago. The story portrays local folklore themes from the old days--and of old ways--of the people in this rugged region. "Romero's book is a novel, but not just a novel. It is philosophy, a metaphysical self-exploration into faith, heritage, and humanity. . . . As I read the book for the second time I began to comprehend that the message of this book is not for the self-centered and self-fooled, those people with pretensions of superiority. This is a book for the weak and lost who are really neither, for they are determined and strong enough to want to know the 'why' and 'what' of their very being. . . .
Orlando Romero, novelist, sculptor, and santero, is the retired library director of the Palace of the Governors Museum of New Mexico, Santa Fe. He resides in Nambé, New Mexico. Romero is the coauthor of Adobe: Building and Living With Earth.